• PLOT SUMMARY: The great hammer MJOLNIR lies on the moon, unable to be lifted by anyone in all the heavens! Even THOR! Something dark has befallen the God of Thunder, leaving him weakened and for the first time in forever... UNWORTHY! 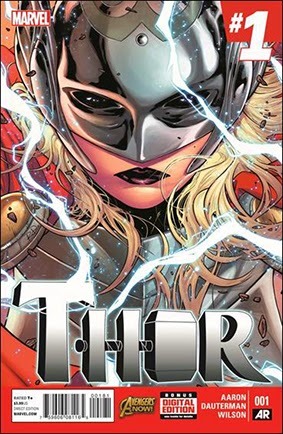 But when Frost Giants invade the Earth, the hammer will be lifted and an all-new Thor will arise! A Thor unlike any we've ever seen before! Who is this new GODDESS OF THUNDER? Not even Odin knows! Written by Jason Aaron. Art and Cover by Russell Dauterman.